To Inspire and to Lead! "To Inspire and to Lead!" Nice post Philip, at list the horse we'r using are similar on the photos. ...it's all about B/Gen. Vicente Lim and of course the men of the 41st Division, to whom he always wanted to give all the credit to. Please email me at: generalvicentelim@gmail.com for more info/comments/suggestions/stories. legionnaire, may I know where you got the first photo? I was hoping you could send me a full resolution copy (please send it to the email address above). 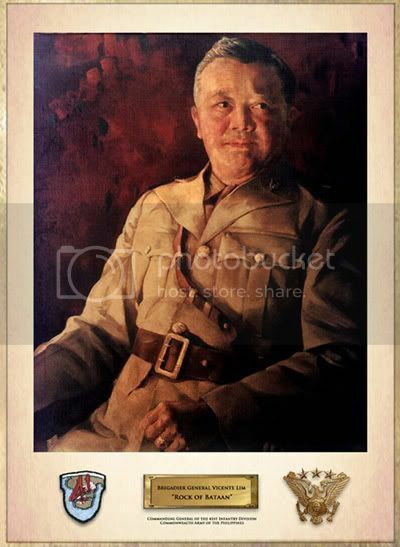 I believe the last picture though is one of Gen. Mateo Capinpin, not Vicente Lim. Thanks! Are you a relative of Gen Lim? ...and yes, I've read General Atienza's book. It's a very good read. Great men, all of them. If you guys have any interesting materials you want to share, just send them to generalvicentelim@gmail.com so that I could post it on the website. I cannot change and correct the posted image of Capinpin you mentioned as I had to create a new account. Did you receive my email? Thanks for sharing your Family's heritage. 105 days A time of War.......both are interesting books. Ang galing magsulat ni Gen. Atienza, while reading you can feel the situation of the 41st during the campaign in Bataan. Pinoy na pinoy ang account. This coming Dec. we have a plan trip to Mt. Samat, plus with my friends from Jeddah (lahat curious about Bataan). I'm their guide.....I got more info from the book. 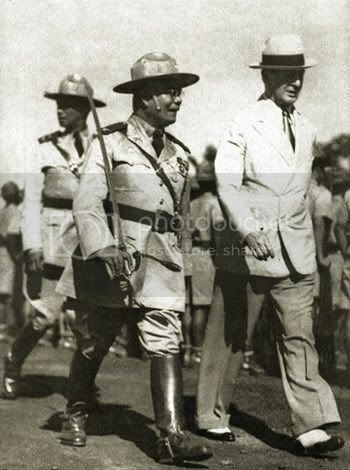 Gen. R. Atienza and Gen. V. Lim.....Heroes of Bataan! Hers, have you read this one too? It just came out last year. It's like Gen. Atienza's book. The author is also still with us. I finally acquired a copy of the book, "To Inspire and to Lead", autographed by his son Bobby. Looking forward to reading it. I was able to borrow a copy from my local library at Oxnard, Ca. 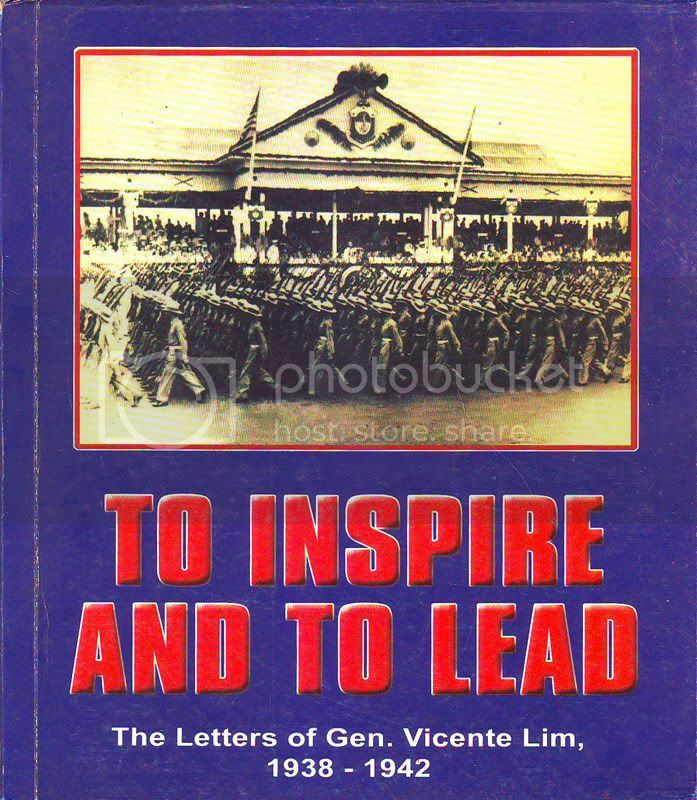 It is a compilation of the letters Vicente Lim wrote to his family. He intended some of these letters to be part of his diary at a later date. The book was published in 1980 in the Philippines and also in the US. The copy I read was acquired in Jan, 1982. 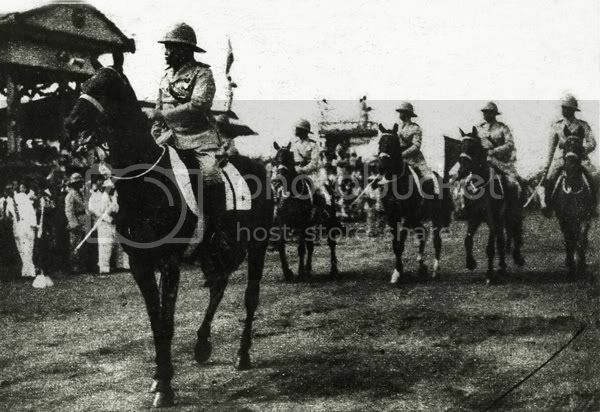 The book provides an insight in the organization of the Armed Forces of the Philippines in 1935. The preparations for war and fight on Bataan from a personal view of the 1st Filipino graduate of the US Military Academy at West Point, NY. It includes a copy of the study Lim wrote at the US Army War College in 1929 when he was a student there. "Subject: The Philippine Islands - A Military Asset"
This study should be a cornerstone for those interested in the history and development of the Republic of the Philippines and its Armed Forces. The situation and problems that Lim pointed out then are still relevant if not present today in 2013 and can define the relation between the US and Philippines in dealing with a new challenge in the South East Asia and Pacific region. It is a relevant book for study by those interested in history and present defense requirements of the Philippines. The last battle on Bataan.